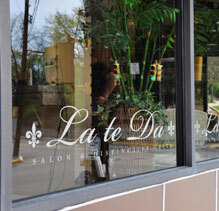 Welcome to Salon La te Da and Spa! 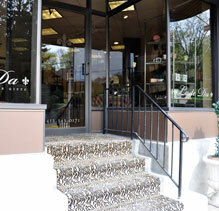 The only place for all of your beauty needs. 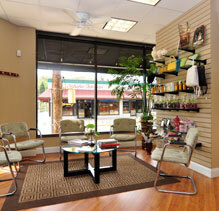 Whether you're looking for a new hair cut and color, or a relaxing day at the spa, we are sure to deliver. 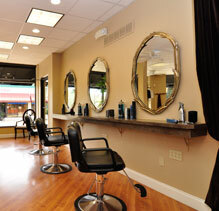 Join our talented stylists in the salon as they take your vision and make it a reality. Whether you're in need of the latest cutting edge style, a beautiful wedding updo for you and your bridal party, or a new color for the season, our stylists will give you the hair that reflects the true you. As you enter our spa upstairs for one of the many relaxing treatments, you will instantly be transported to a place of serenity and tranquility. 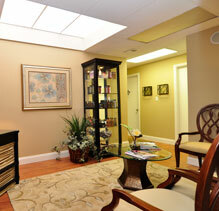 Our trained professionals are there to ease your mind and attend to your needs. 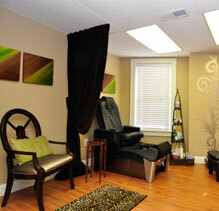 Chosen for their amazing technical skills and excellent customer service, our staff will make your stress melt away. Whether you choose a massage to relax, a facial to revitalize, or a manicure and pedicure to renew, you will walk away feeling balanced and rejuvenated. 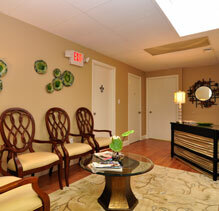 Stop and see us today for an unforgettable experience!